South Korean group BTS are on course to land their first UK top 40 single. 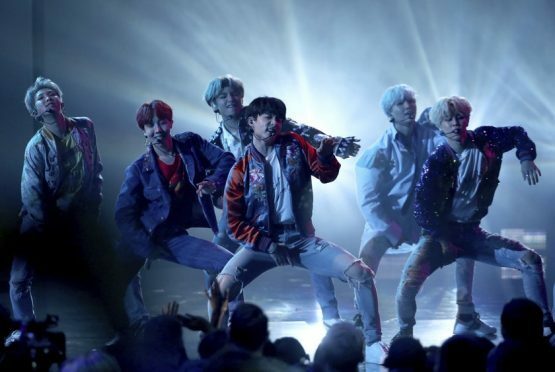 The seven-piece K-pop band’s Mic Drop is on course to hit number 30 in the Official Singles Chart and comes after they made their US television debut earlier this month with a performance at the American Music Awards (AMAs). The boy band are growing in international popularity and earlier this month became the first band of their genre K-pop, an abbreviation of Korean pop, to break into the top 10 in the US album charts. They made their album debut in the UK charts last year when their record Wings landed at number 62, while in September the group’s release, Love Yourself – Her, hit 14. At the AMAs, former One Direction star Niall Horan urged BTS to “keep your head on your shoulders” as he sang their praises and offered some perspective thanks to his days with his global boy band sensation.